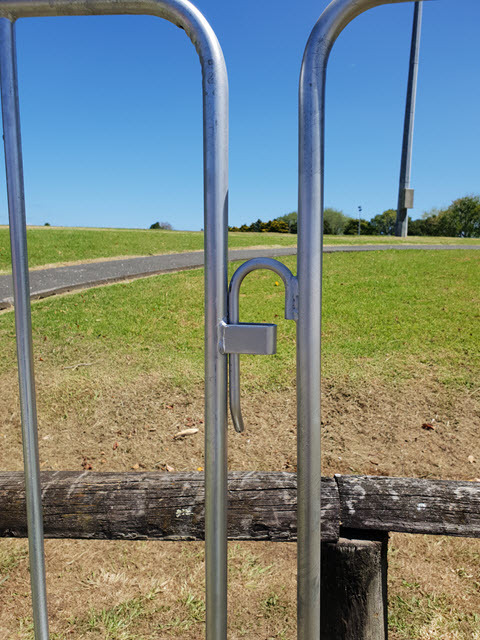 Crowd Control Barriers for Sale from the Industry Leaders "GHLTempFence"
Buy from the industry leaders with over 10 years experience in supplying temporary fencing and crowd control barriers for events. 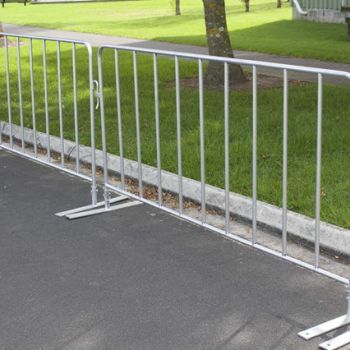 GHL TempFence crowd control barriers / bike rack are designed for long life and repeated use. 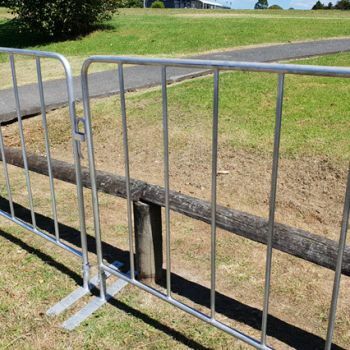 Our crowd control barriers provide a quick and efficient barrier perfect for all situations where you need to divert or keep the public away from a designated area to ensure safety. 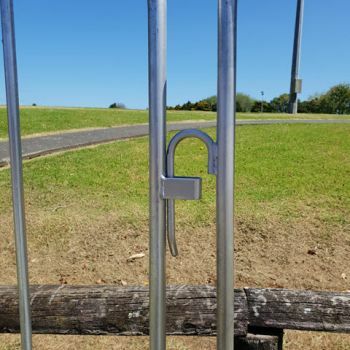 The barriers are light and easy to handle, while being strong and robust at the same time. The flat feet are detachable which makes transportation and storage much easier and more efficient. 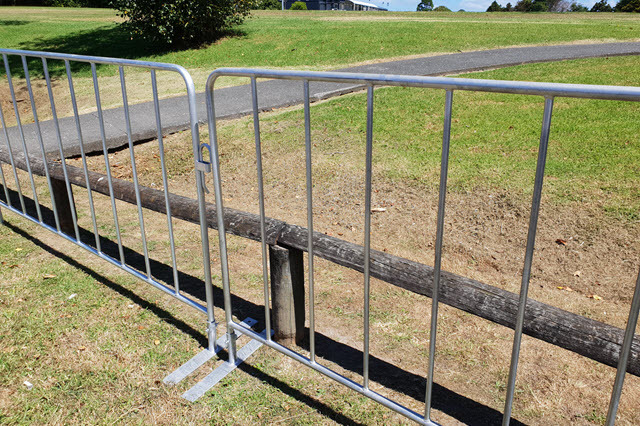 Crowd control barriers are ideally suited for use at sporting events, concerts, public gatherings, construction sites, product launches, promotional events and any on site where you need to divert or keep the public away from a specific hazard. 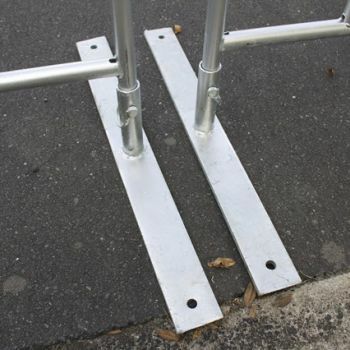 One of if not the cheapest Crowd Control Barriers, on the market. The panels with their Pre-Galvanised Frame (Av. 14 Micron ) 25mm x 1.2mm pipe only weigh 10kgs complete with Feet. 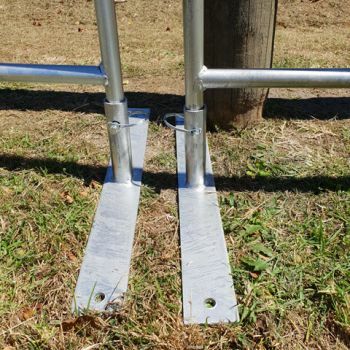 They have flat feet, making the barriers stable and much safer than claw foot barriers. 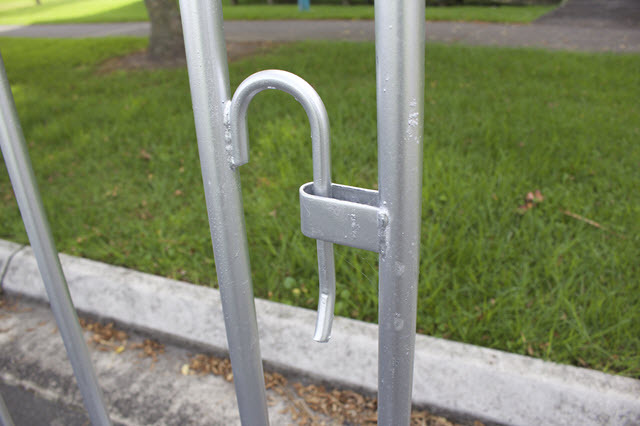 They incorporate a specially designed locking system that is easy to use, quick and very secure. Not a system we’d recommend for long term commercial use with the low Galv and they're only suitable for light duties . Frame: 25mm O.D x 1.2mm Wall. Estimated life is 2 - 3 years when used with care. 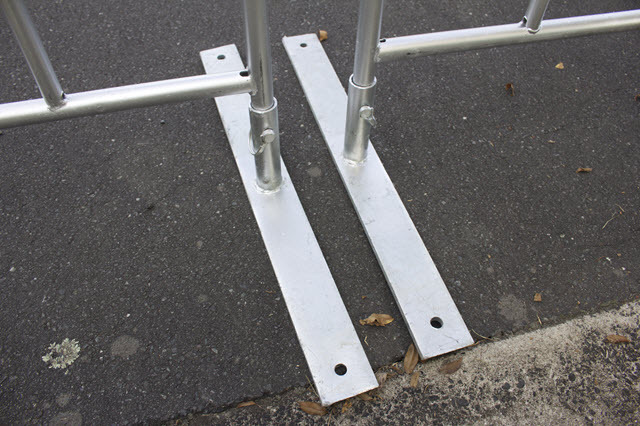 A lighter weight version of our Original Dura spec Crowd Control Barriers. The panels are Fully Hot dipped Galvanized (Av. 77 Microns) but they only weigh 11kgs complete with Feet. 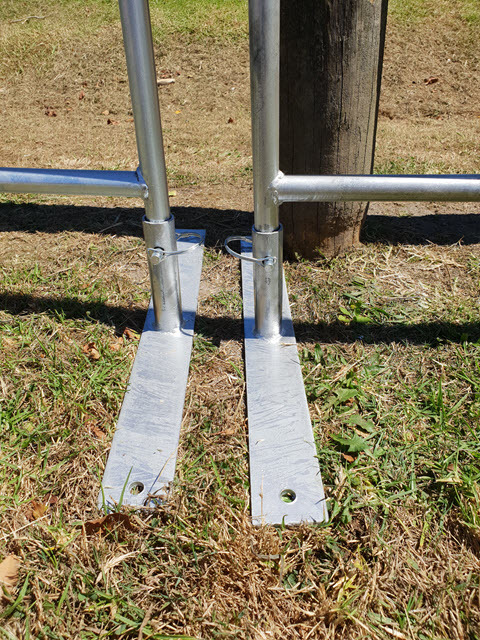 The frame is 25mm x 1.2mm pipe and they have flat feet, making the barriers stable and much safer than claw foot barriers. 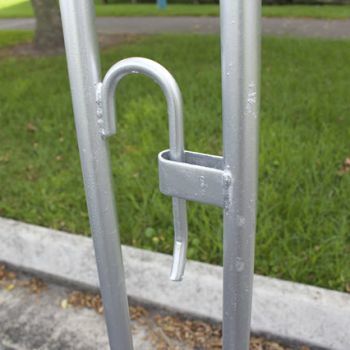 They incorporate a specially designed locking system that is easy to use, quick and very secure. Being fully Hot dipped Galvanized, it's suitable for long term commercial use and light duties. Estimated life is 8 years + when used with care as it’s a Lightweight version. 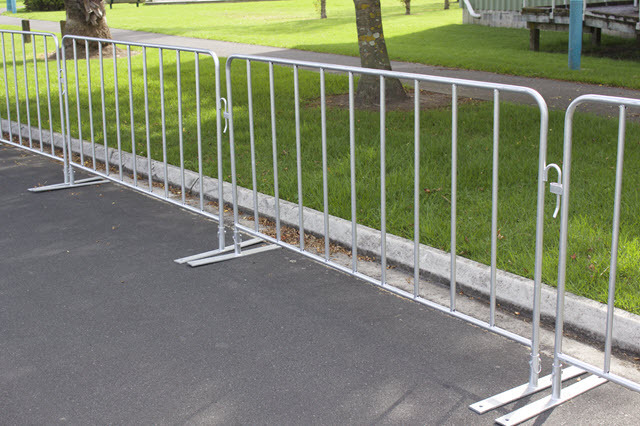 The Dura Spec Crowd Control Barrier is what we use in our Own Hire Fleet and the toughest most durable Crowd Control Barriers on the Market. The frames are 25mm x 2.0mm Wall Pipe, Fully Hot dipped after Manufacture to Av. 77 Microns and the Infill bars are a heavy duty 20mm x 1.2mm adding to the overall strength of the Barrier. What we’d recommend for anyone wanting a Barrier that’s suitable for any environment and ideally suited for repeated use over many years. Frame: 25mm O.D x 2.0mm Wall. Estimated life is 8 years + (We have Barriers in our Hire Fleet that are now over 8 years Old).